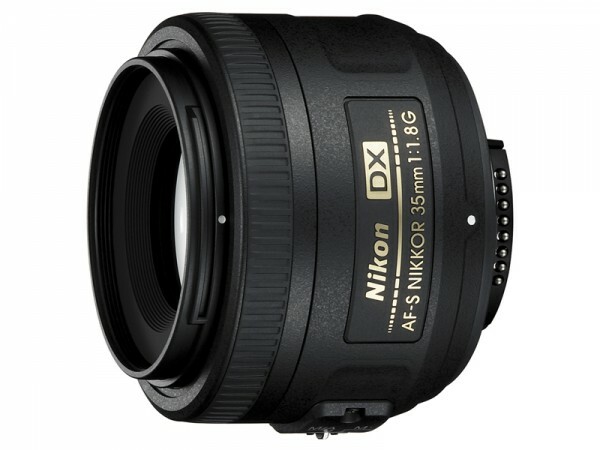 Showing its commitment to the DX format, Nikon has introduced the AF-S DX Nikkor 35mm f/1.8G, which offers an equivalent focal length of 52.5mm in FX (full frame or 35mm formats). Basically, it is the “normal” lens for DX format DSLR cameras. Unlike the 50mm f/1.8D, this new lens features RF, or rear focusing, so the front element does not stick in and out during focusing. It has the silent wave motor (SWM) so the focusing should be silent and fast and makes full time manual override possible. Approx. 70 x 52.5 mm/2.8 x 2.1 in. Amazon Kindle 2 For Reading Photography Books? home | about | entries (rss) | comments (rss) ©2007 - 2011 Digital Photography Tips and Techniques. Powered by WordPress.